The former British Army and Queen’s Dragoon Guards Lance Corporal lost his right leg below the knee after the armoured vehicle he was traveling in hit an improvised explosive device while on tour in Afghanistan. 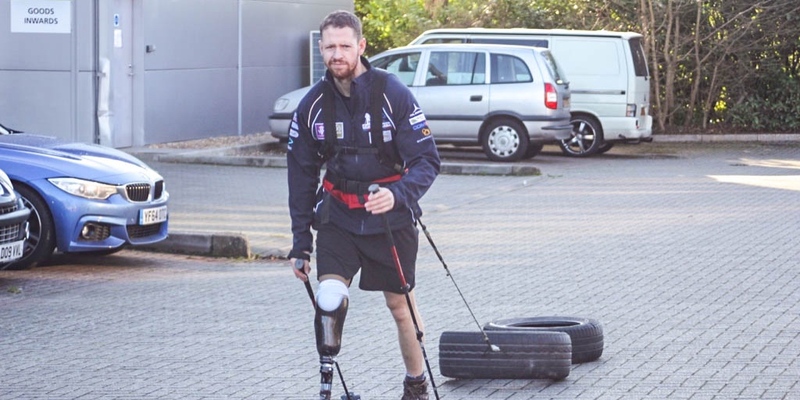 Pete’s rifle shattered his leg in 9 places, causing irreparable damage to his tibia and heel and despite efforts to save his leg, Pete was discharged from service in 2012. After years of rehabilitation, determined Pete was inspired to cross the Greenland Ice Cap after he learned that it had never been crossed by an amputee.